Gone are the days when you need an internet connection and a smartphone to perform your mobile banking transactions. GTBank recently introduced a first of its kind USSD transfer which they call the *737 transfer service. With the new GTBank transfer service, customers can conveniently perform third party transfers of funds to both GTBank and other bank account holders in Nigeria, via their mobile phones. 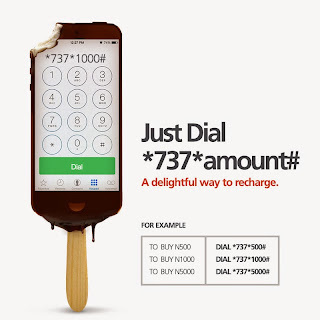 Aside that you can also recharge your line or another persons line without any hassle just by simply dialing the USSD short code *737 with details of the amount and account number (NUBAN)/phone no of the beneficiary. ==> Your line should be topped up shortly afterwards. ==> Then you will be asked to authenticate the transaction by inputting the last four digits of your GTBank Master card. ==> The line should be topped up shortly afterwards. Note: The *737* Transfer service is only available to GTBank customers via their mobile phone numbers registered with the Bank and has minimum transfer limit of N1,000 and a daily transfer limit of N20,000.